1. 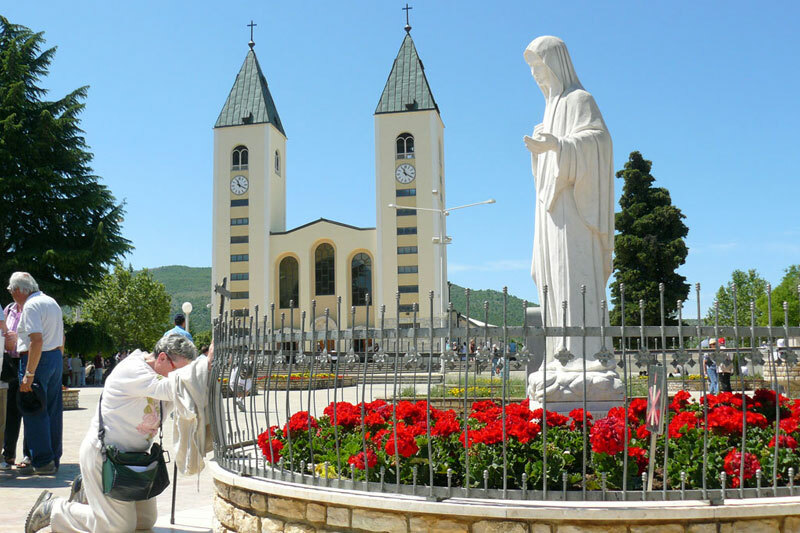 St. James’s church is the main place for prayer in Medjugorje. There are daily masses on english, german, italian, polish, french and spanish, also all the masses are simultaneously translated on many more world languages. 2. 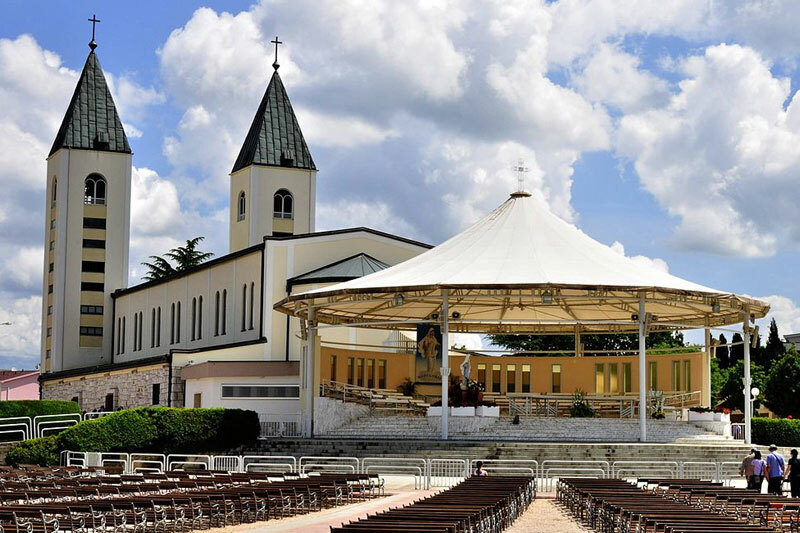 The exterior altar has been constructed in the 1989. behind the St. Jacobs church becouse it became to small for so many pilgrms that have been arriving each day. 3. The Adoration Chapel was built in 1991, to offer a place for silent adoration of Jesus in the Most Blessed Sacrament of the Altar to the pilgrims. 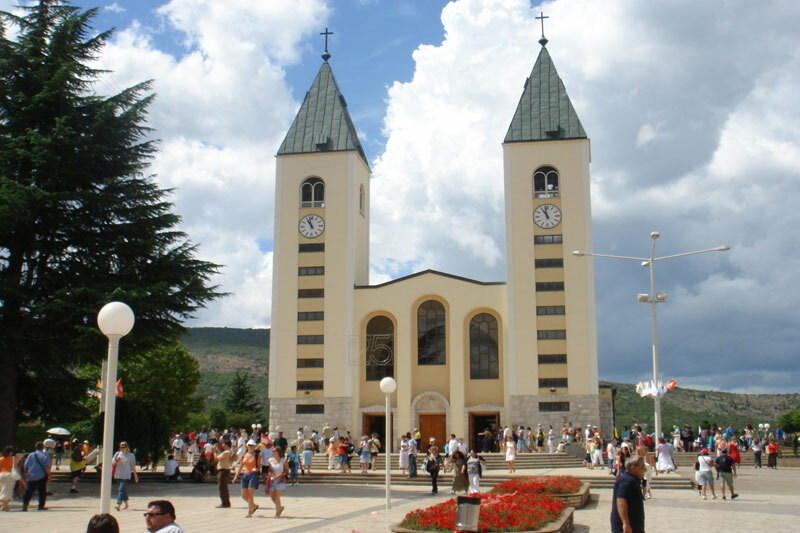 Holy Masses in different languages are celebrated there during the morning, but it is open for personal prayer during the afternoon. 4. 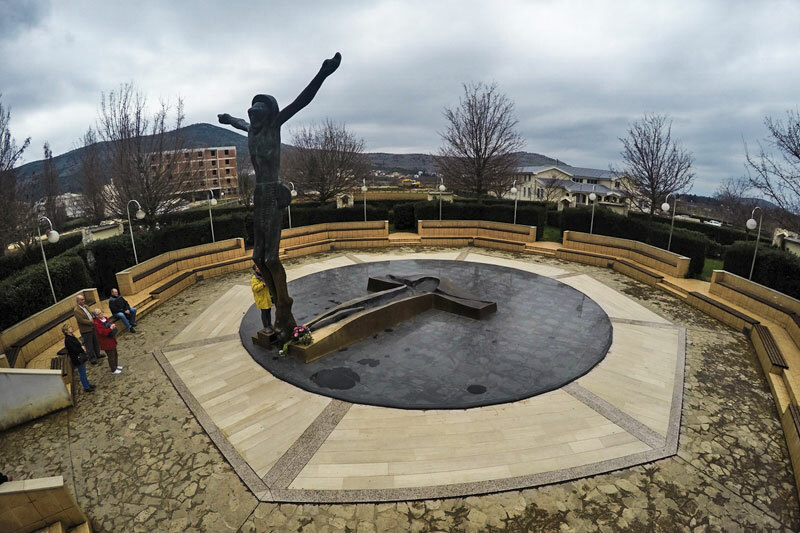 Statue of Virgin Mary, work of italian sculptor Dino Felici, was posted in front of the chirch in the 1987, and since then it has been a place for many prayer and petitions to our heavenly mother. 5. 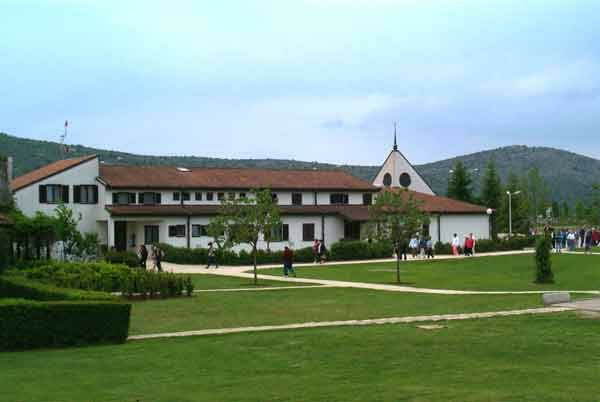 The statue of the Risen Jesus, work of the slovenian sculptor Andrej Ajdič, was posted behind the church in 1998, in 2002. the aera around it was finished for the prayer of the Way of Cross, for those who can not climb the Cross mountain.